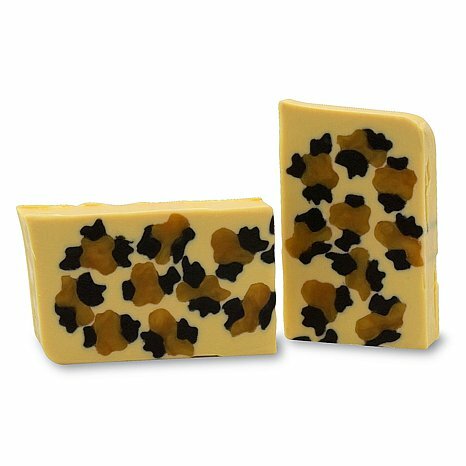 Unique aromas and original Leopard animal print designs set Primal Elements soaps a bar above the rest. These long-lasting bars are rich with the scents of honey, chocolate and caramel; scents that form a silky smooth base for a splash of citrus and a soft floral finish. Primal Elements Handmade Vegetable Glycerin Soap Duo Includes two bars. Bars provide a scented cleansing experience.